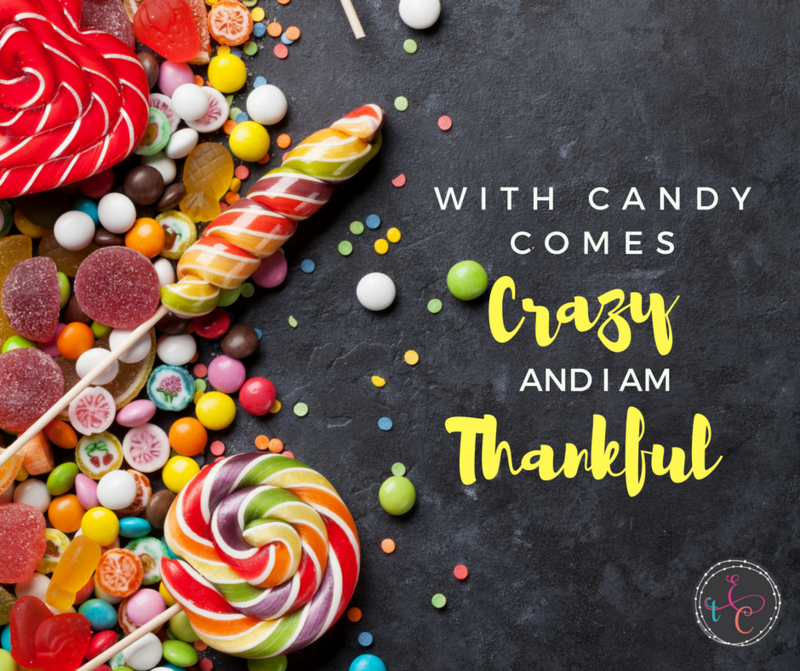 With Candy Comes Crazy and I Am Thankful! Moving, going back to work, depression, and house-hunting – I would say individually each of those things were enough of a stress on a marriage. 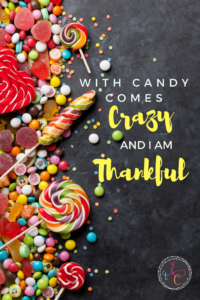 Those are just a few things we will dive into this month as we look at why we are thankful and what thankfulness means in your current circumstances. 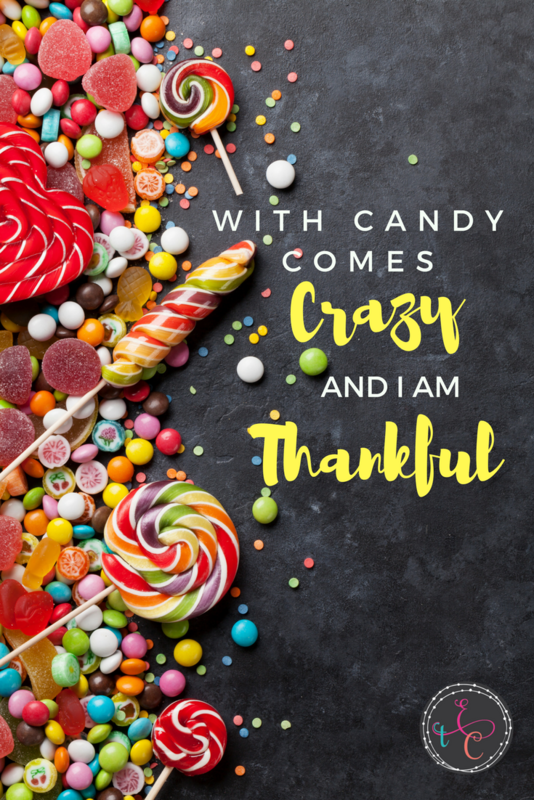 A few nights ago, I was reminded by the sweet atmosphere of company, kids, and lots of candy – how thankful I am for the house we live in currently. Halloween for some is a non-starter. For me growing up in the mid-west, it was a big deal! My friend Lora and I would plan our costumes (always ones that went together, like a pair of dice or mimes) a month in advance. Swarms of kids flooded the streets of our neighborhood like bees to a hive. The street lights were pale reflections against the large mobs that populated our suburban “hive”. I loved every moment. About five years ago, we decided to reach out to our fellow neighbors to provide a warm and dry haven in the midst of the downpour of a typical rainy Seattle Halloween. We hoisted a canopy, set up a folding table and chairs, fired up the hot apple cider and coffee….oh and put out mounds of candy. Our neighborhood is small and contained. It is safe. We know our neighbors, even if it just this one time a year we see them. Families truck in their kids from other communities to walk our safety net of street. So in the midst of a week where I was mourning the fact we took our house off the market, you know the market in which everyone around us is selling their house in seconds, I decided we would keep Halloween. The texts were sent. Families were coming. I would make the annual chili dinner and we would trick or treat. Then that night as we stood under the canopy for another rainy Halloween… I saw the faces of families that have been coming for years and some new fresh ones this year. I saw a young one take his first steps in my kitchen. I saw community. In spite of the mound of boxes in the garage, boots that cannot be found, and scrounging for bowls to put the candy, we had that moment. Next year our house should be sold. We will be moving on. This moment of crazy…of uncertainty….of unsettled frustration, pales in comparison. And I was reminded why we fell in love with this house in the beginning. This house is the gathering place. For this season, it is perfect. For this moment it is enough. For this moment, I will remember that we are very, very thankful to have these friends to gather in this place. In the midst of the crazy, I am thankful.